I don’t know who comes up with the story titles at 60 Minutes, but we may have to alert Charlie Pickering at The Weekly….. There is no doubt Australia is one of the most wasteful nations in the world, so the practice of recycling helps to lessen our guilt. As we drag our bins out for collection each week, we feel like we’re helping the environment. But the reality is that we’re all being conned. Right now, Australia is stuck in an unsightly and worsening recycling crisis. What is being done with plastic waste, the material most people think would be easy to salvage and re-use, is of the greatest concern. As Liam Bartlett discovers, most of it ends up either being buried or worse – exported to countries like Malaysia, a place we are now treating like a garbage bin. Anyone who thinks five long weeks of a federal election campaign in Australia is going to be a substantial test of patience and sanity should spare a thought for the people of the United Kingdom. In London, the parliament is a complete mess of chaos and confusion, all because of Brexit: the decision taken at a referendum three years ago for the UK to withdraw from the European Union. As Sarah Abo reports, the problem – an enormous one – is the politicians, who can’t agree on how to do it. While they’re being distracted by bickering and backstabbing, many others fear the “great” is being ripped out of Great Britain. Over his lengthy career at 60 Minutes, Charles Wooley has reported on many stories about amazing advances in medicine, the result of outstanding work by researchers who’ve discovered new treatments for cancer, heart disease and the like. But he laments the same progress hasn’t always been the case for the tragic affliction of spinal cord injury – until now. In this special report, Wooley travels to Switzerland to watch something incredible – a paralysed man walking. They’re faltering steps, but they signal a giant leap forward for science. And it is all part of a global effort involving the most brilliant doctors and the most courageous patients. 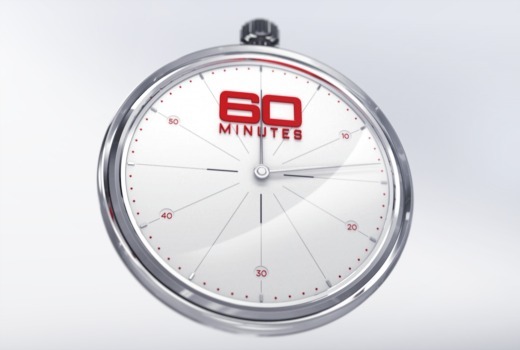 Remember when 60 Minutes was a serious, credible current affairs program and was appointment viewing? Those days are long gone. It’s absolute pundemonium in the 60 Minutes story titles department.